We have been selling, repairing and servicing gearboxes for over 30 years and are very well known for our technical knowledge, extensive experience and specialized service. 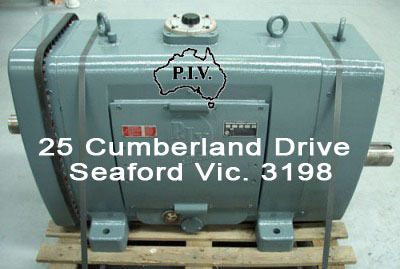 Our highly qualified and experienced staff are skilled in the repair of PIV variable speed, worm, spiral bevel and fixed speed gearboxes. The continuous operation of your business is fully understood. We complete servicing and repairs as quickly as possible in our fully equipped workshop, or onsite, at competitive rates. All gearboxes are subjected to stringent testing to ensure they are running to specification. To avoid the risk of breakdowns, our service includes onsite inspections, reporting and recommendations on all gearbox repairs. This is very useful for planning scheduled maintenance. Also, we provide advice on installation and applications for the use of PIV and other fixed and variable speed gearboxes. We pride ourselves on high quality workmanship and are considered market leaders in the servicing and repair of a large range of gearboxes.